By 29 weeks pregnant your baby will weigh about a kilo and measure almost 40cm. At 30 weeks he or she will be able to produce tears and will be practising opening and closing her eyes. At 31 weeks her lungs will still be developing, but most of the rest of her body is fully formed. At 32 weeks all her 5 senses will be developed and she will weigh about 1.5 kg. She will be practising weeing! For many women, it is around this stage that they start to feel more uncomfortable and properly “pregnant”. If this is your first baby, you will have an appointment at around 31 weeks. She will take your blood pressure, measure your bump, listen to the babies heartbeat, check your urine for UTIs and generally check you are ok and answer any questions you might have. If you travel internationally for work or pleasure you would need to be winding this up soon, make sure you know about when to stop flying long and short haul. You may feel that you need to start slowing things down a bit in terms of work or your social life- as you may be getting more tired and uncomfortable when traveling be it by public transport or even in the car. On the other hand, you may feel fantastic and full of beans, in which case just carry on as normal until you feel you no longer want to. You may be sleeping badly and even experiencing rib pain as the baby and your uterus grow and force your ribs to expand. You may also be getting the odd foot stuck up under the ribs, which can be really uncomfortable and relentless if the baby decides that this is a comfortable position for him or her. You may be becoming more uncomfortable in general and as your due date gets closer you may become more hormonal and irritable as things perhaps start to feel more real and even alarming! You may feel like you need to start waddling, like all pregnant women in films! Waddling can look a little undignified and in many cases is unnecessary. Our advice on this subject is simple…Waddling is a state of mind! Simply remind yourself not to waddle, hold yourself upright when you walk and you might find that you are perfectly able to walk normally, albeit a little more slowly! Of course, if it feels more comfortable to waddle then go ahead! One exception to this is the dreaded Symphysis Pubis Dysfunction known most commonly as SPD. This is pain around the pubic joint due to the separation of the pelvis. This is a natural phenomenon which occurs as a result of the secretion of certain hormones in late pregnancy which relax the ligaments between the two sides of pelvis. It is thought to happen because the bony part of the birth canal is starting to open to assist in childbirth. There are no predictive factors in this condition except previous history of SPD. Sadly, there is not a lot you can do to remedy this situation. Treatment is available in the form of physiotherapy. Some hospitals will give you a girdle to help hold your hips in place, but many patients report little or no relief from either of these options. It is best to avoid activities that aggravate your pain, especially those that involve being on one foot, such as stepping out of bed. You will quickly learn which activities to avoid. You must learn how to turn over in bed and how to get out of bed whilst minimising the pain- many physiotherapists advise you to keep your legs together whilst turning over and whilst getting out of bed. If you continue to swim with SPD, this is not a problem, just don’t do breaststroke. It is best to talk to your caregiver about this problem so that he or she can offer you the best advice on minimising discomfort and in more serious cases arrange for crutches or a wheelchair. Usually, the symptoms improve rapidly after delivery, within a few days or weeks. In a few cases the recovery may take a few months before complete resolution, but there is always a full return to normal. The problem is, it can recur in subsequent pregnancies. About 70% of women will suffer from it again, often a little earlier and maybe a little worse. Bloody Nose and Gums and Snoring! You may begin to develop a bloody nose as the mucus membranes in the body become thicker and blood supply to these areas is increased. If you did not snore before, this is the time when you may start to! Nasal congestion can be a result of thickening of these mucus membranes. Similarly the gums may be thickened and bleed more easily whilst brushing or flossing. Dental hygiene is very important during pregnancy and you should continue to brush and floss as normal even if your gums bleed a little. Whilst you are pregnant, and for 12 months after the birth, you are entitled to free dental care. Details can be found on the NHS website. If you have the Rhesus Negative blood type and do not already have anti-D antibodies in your blood (this is tested by a blood test at the start of the pregnancy) then you will usually be given an anti-D immunoglobulin injection between 28 and 34 weeks. This treatment is called anti-D prophylaxis, and prevents the mother producing anti bodies against their baby’s blood during late pregnancy. After the birth, a blood sample will be taken from the cord to test the baby’s blood group. If the baby is rhesus positive, the mother will be given a further injection of anti-D immunoglobulin. (This is called postnatal anti-D prophylaxis.) Anti-D immunoglobulin will also be given after any sensitising event that occurs during the pregnancy. 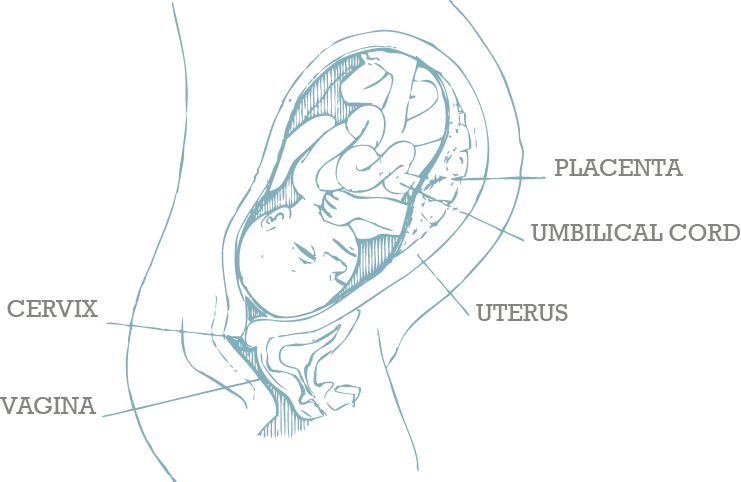 A sensitising event is one such as having an amniocentesis, chronic villus sampling, vaginal bleeding, or turning the baby’s head down if it is in a breech position (known as external cephalic version – ECV).